Personally, I don’t mind being compared to a dog. I think dogs make better citizens than humans, aside from the obvious toilet issues. We look at fat women and are conditioned to think their thick limbs and juicy middles are putrid. But these same features fail to disgust us in other contexts…Every time I see a dog show on TV, I’m struck by how fervently we adore our fat little breeds of dogs: the endearing rotundity of lumbering bulldogs and chubby pugs, the sad heavy-lidded eyes and loose sagging skin of the sweet shar-pei. We derive joy from the appearance of these creatures. We can’t resist reaching out for them, encircling their barrel bodies with affectionate hands. The fact is, sometimes a little human-to-dog comparison can illustrate a good point. In the case of ASDAH, the Association for Size Diversity and Health, they’ve trotted out some adorable animated pups to make an astute and urgently important point about human body size and weight in relation to health, quality of life and longevity. They’ve created a brilliant little video that should be mandatory viewing for anyone involved in healthcare and/or health policy. It’s titled “Poodle Science”, and it makes so much sense. 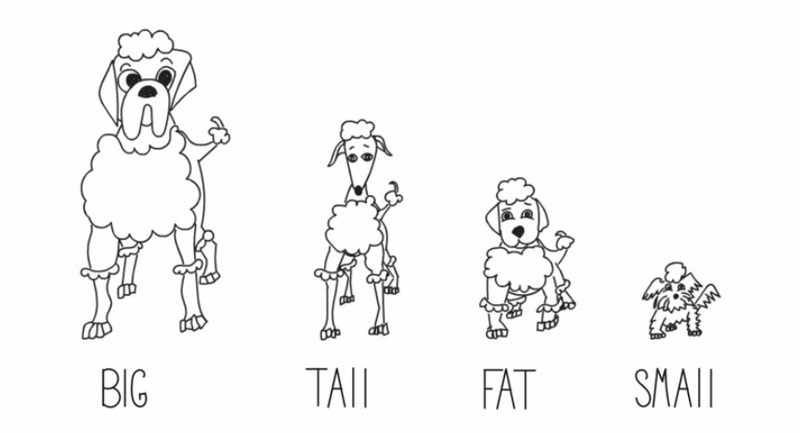 In a post on the ASDAH blog, Amy Herskowitz introduces “Poodle Science” as “our first animated video that explains why it is invaluable to read published studies in weight science from a critical analysis perspective”. Watch it now. Share it. And since it’s less than three minutes long, you might want to whip out your smartphone and play it for your doctor the next time he/she tries to wave you off with some lazy advice to “lose weight” in lieu of actually looking at the details of your health state.